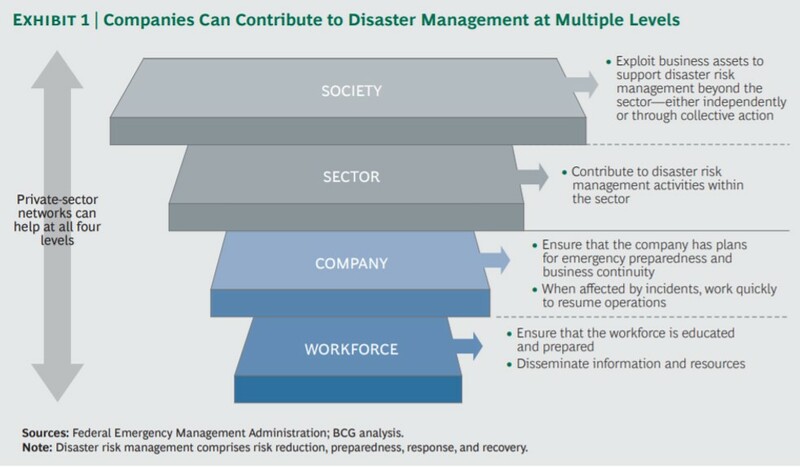 The article discusses the role of the private sector in disaster prevention, preparedness, response and recovery efforts and introduces ideas how companies can collaborate better to become more resilient themselves, reduce duplication and deliver maximum impact supporting humanitarian efforts. Concrete examples from Fiji, Philippines, Madagascar, Turkey and Haiti help to demonstrate what the private sector networks are already doing together with the Connecting Business initiative (CBi). The article also introduces 13 key success metrics for a successful private sector network. The article is co-written by David Young and Wendy Woods (the Boston Consulting Group), Marcos Neto (UN Development Programme) and Rudolf Muller and Marcy Vigoda (UN Office for the Coordination of Humanitarian Affairs). Download the article here or click the icon below.